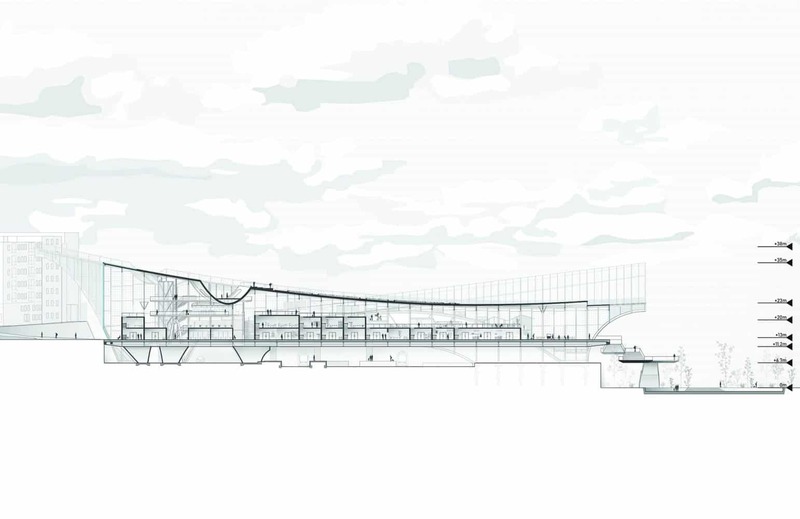 The project arises from a real opportunity: the government of Santiago de Compostela is planning to construct a new intermodal station next to the old station. The new dominant transportation center will become a brand-new gateway welcoming most of the visitors coming to the city. The proposal provides a better alternative to the existing by introducing new values and tools to reconnect the segmented city and to boost urban development and tourism business in its surrounding area. The station is understood as an extension of the urban fabric, which it can also become part of a community-tourist center. In response to the constant changing society and the demands of various groups of users, the hybrid program and the concept of ‘Open Building’ has been used as an argument to generate architectural spaces, which also helps to eliminate the traditional physical limit between these type of infrastructures and cities. Following a growing interest for the users to participate in urban project decisions, the spatial freedom is taken into two degrees. The service strip is represented by fixed and controlled spacial conditions proposed by architect, while the station strip leaves open plan for various infills where the users has an opinion.